I have just caught the last half of BBC Two’s programme Great British Food Revival the purpose of which, according to their strapline is to ‘popularise great British produce’ and I have absolutely no dispute with that. This evening it was the turn of watercress, in which chef James Martin tried to persuade us to eat more of this lovely crop. It’s consumption we were told is ‘in dramatic decline’ due to ‘fashionable foreign leaves invading our supermarkets’. So far so good. What however left me cold was when it got to the recipe part of the piece where it felt as if Martin was almost apologising for the presence of watercress in one of his presented dishes, overwhelming it’s peppery tang with what looked like an entire bottle of sweet chilli sauce, apparently to appeal to a younger appetite. 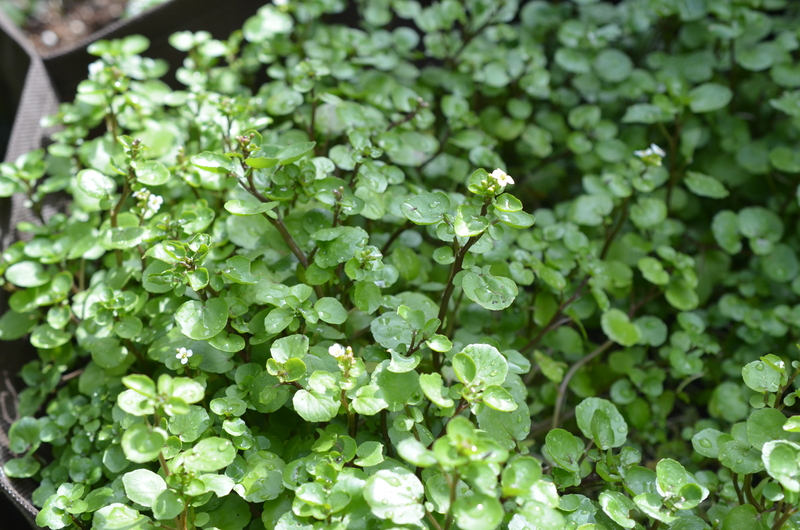 I am fascinated that the food industry will regularly claim to use local ‘this, that and the other’, whilst happily stepping over a bunch of cress in favour its Mediterranean cousin rocket, an ingredient which has been used almost to the point of obsession during the last decade or so. Leaving me to wonder if this is a case of ‘physician heal thyself’. It’s not that I don’t like rocket or any other leaf of that type and the irony of an Italian seed packet in the picture above isn’t lost on me, it’s just that I think for flavour watercress will win over every time. I wonder when our chefs will really come to think think the same. After all that, the programme is worth watching and is available on for the next few days here. 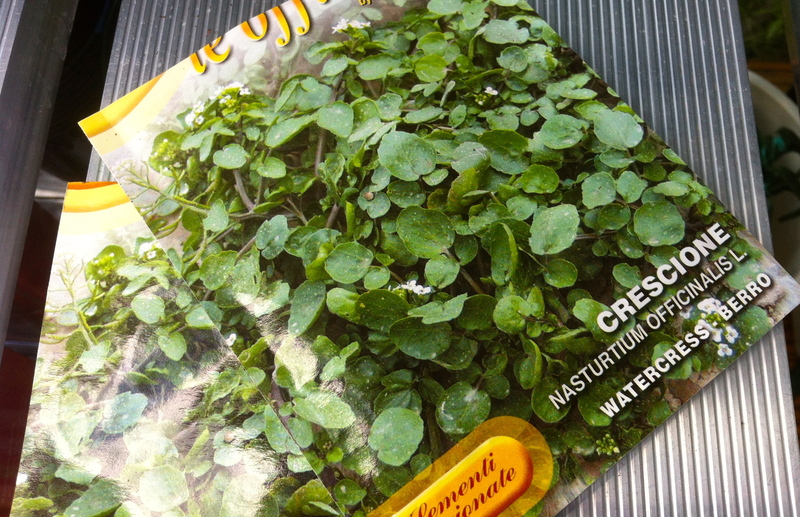 Also lots of recipes and information about watercress here. Thank you David. I watched it a couple of times in the interests of fairness. Also couldn’t get over the Dover sole with crab, beyond most peoples weekly budget.